One way to understand group development is to consider the potential stages that groups generally go through. One widely used approach here is the model developed by Tuckman and Jensen (1977). 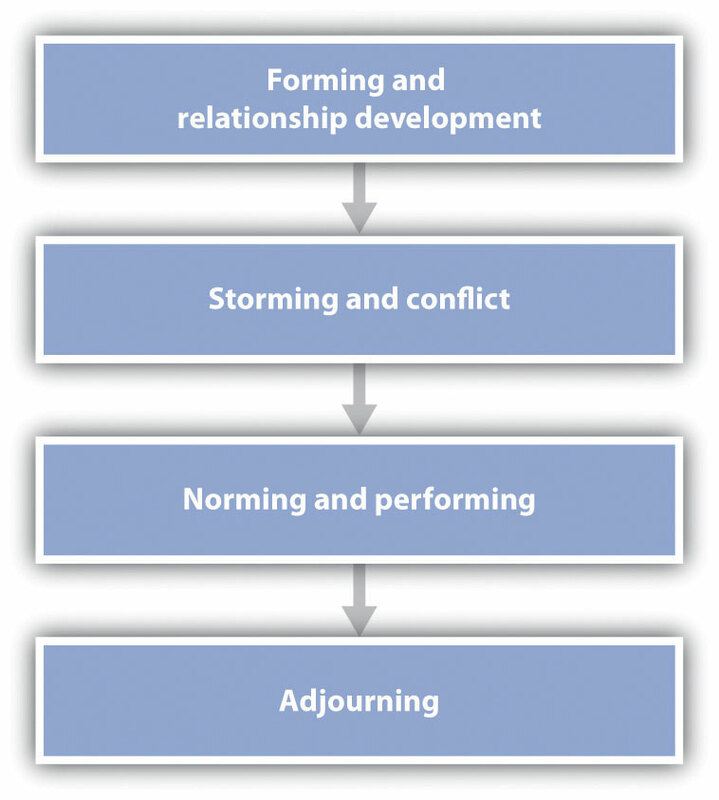 As you can see in Figure 10.3, “Stages of Group Development,” the different stages involve forming, storming, norming and performing, and adjourning.